What do they have in common? They drank hypotonic fluids in excess while exercising and died from overhydration’s consequences. More specifically, they drank too much Gatorade and died from exercise-associated hyponatremic encephalopathy. What’s Gatorade doing about it? This is not consistent with a study in the New England Journal of Medicine that reported a 13% rate of EAH and .6% rate of critical EAH in 488 Boston Marathon finishers. This is the largest study of sodium levels in endurance athletes at a single race that I’ve found. Note that the NEJM rate is around 5 times the rate of hyponatremia that Gatorade portrayed. Higher prevalence of exercise-associated hyponatremia in female than in male open-water ultra-endurance swimmers: the ‘Marathon-Swim’ in Lake Zurich. Do male 100-km ultra-marathoners overdrink? Higher prevalence of exercise-associated hyponatremia in triple iron ultra-triathletes than reported for ironman triathletes. Prevalence of exercise-associated hyponatremia in male ultraendurance athletes. First reported cases of exercise-associated hyponatremia in Asia. Gatorade’s recommendation that athletes only concern themselves with hyponatremia if they’ve had it before is highly irresponsible. It presumes that they’d know it if they’d had it. Unfortunately, most athletes with hyponatremia don’t realize it. Athletes can approach dangerously low blood sodium levels without showing acute symptoms, or without those symptoms being accurately identified. At this time, Gatorade should be urging caution to avoid further deaths. Ignorance is no longer a credible excuse. There is no way that Gatorade is unaware of Cynthia Lucero, Zyrees Oliver, and Walker Wilbanks’ deaths. Gatorade has an ethical responsibility to prevent further loss of life. 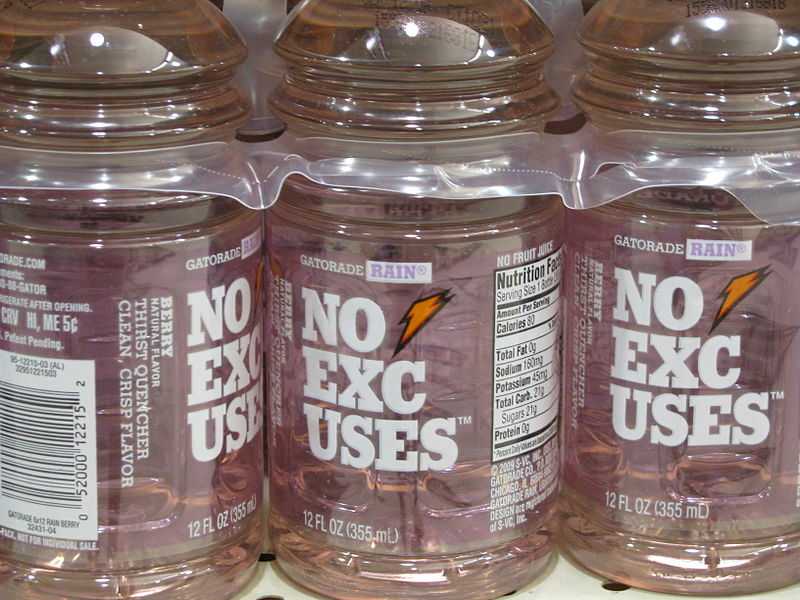 Instead, Gatorade’s scientists are telling athletes not to worry about hyponatremia. Their refusal to adapt safe hydration guidelines just further reinforces the need to drive Gatorade from health and fitness science. You can tell Dr.Stachenfeld is ignorant on the subject by the way her eyes are darting around the room and can’t be attentive. She’s probably anemic , she seems exhausted. What needs to be brought to everyone’s attention is that exercise-associated hyponatremia (EAH) occurs on a spectrum. It can be delutional, meaning that you over consume fluids and dilute the serum concentration of sodium. You can also have a depletional scenario, where you sweat excessively and eventually, your serum plasma sodium concentration drops, possible mechanisms could be, your body is unable to mobilize the inactive sodium stores or enhanced inactivation of osmotically activated sodium. Studies have shown that ingesting additional sodium, either by pills or food, does not change the serum sodium concentration. Meaning that eating extra salt does not cause your blood to become saltier\and therefor will not protect you from EAH. I point you to the work of Dr. Martin Hoffman, Dr. Timothy Noakes and Dr. Tamara, Hew-Butler if you want to read further. The GSSI is not up to date with fluid guidelines, especially for extreme endurance athletes such as ultra-marathon and ironman triathlons. Furthermore, there have been documented cases of the incidence of EAH as high as 15.1%-51% of those participating in the Western States 100 mile endurance run. The most simple rule of thumb is, listen to your body; if you are thirsty, drink, if you are craving salt, eat something salty, if you are feeling bloated, stop drinking. Taylor, you are absolutely correct that hyponatremia exists along a spectrum and can be caused entirely by dilution (usually in the endurance athlete), and can also be caused by chronic depletion or a combination of both. In the past 12 years I have often witnessed and documented the second and third cause in NFL and collegiate football players during preseason training camps when players sweat excessively and lose grams of sodium on a daily basis and also drink too much hypotonic fluid. Tim Noakes and I have had these discussions in person (I am a huge fan of Tim – see the back cover of Waterlogged). The football athlete in preseason is considerably different from the marathoner or triathlete who over hydrates during one event. In the endurance athlete case, the research shows that adding tons of sodium will not counteract the negative effects of over drinking. However, I have successfully sodium supplemented professional and collegiate football players during preseason and have been able to show that you can maintain sodium levels, and more importantly facilitate increases in plasma volume over the first week of preseason. But, it takes a considerable daily intake of sodium (we individually supplement players based on their measured sweat sodium losses) to accomplish this. The paper that shows sodium depletion (with likely some over drinking of both water and Gatorade) in NFL players is this one. We have several early (2003-2005) papers from our extensive data collection in collegiate player that were published in Am J Sports Medicine, British J Sports Med and the J Athletic Training, and numerous abstracts in the last decade published in JAT and MSSE that document our success at sodium supplementation in the football population. That said, any amount of sodium replacement will not protect against EAH if players over drink excessively. I agree absolutely with you that athletes should listen to their bodies and drink when they are thirsty.